Dub Colossus - "Addis Through the Looking Glass" (Realworld, 2011). "This is a superb album. 5 Stars without a doubt. 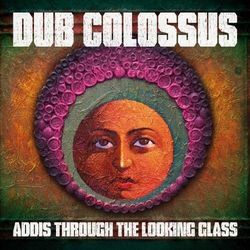 Dub Colossus have come up with an intriguing and powerful fusion of Ethiopian music and Dub Reggae that goes beyond the boundaries of its constituent parts and becomes something else altogether. It’s like the soundtrack to the secret alternative life we all retreat to in our daydreams, pulling in film noir, thriller and road trips, conjuring up the ethereal beauty of sunrises over the mountains, the dark backstreets of Addis, the terraced streets and tower-blocks of inner-city Britain, the intense scents and sounds of two continents dreaming. Love it. 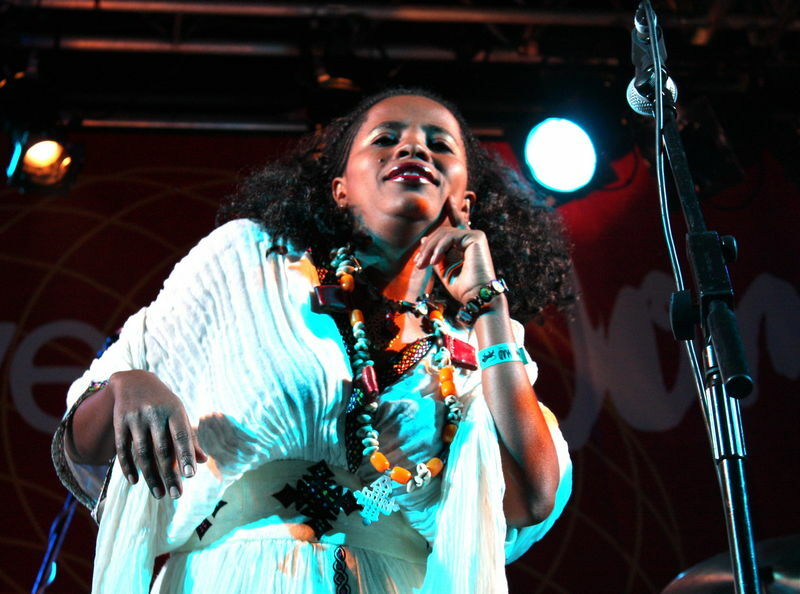 Dub Colossus includes its founder, producer Nick Page (aka Dubulah of Transglobal Underground Fame), Ethiopian female vocalists Tsedenia Gebremarkos and Sintayehu 'Mimi' Zenebe, extraordinary young pianist Samuel Yirga, veteran saxophonist and jazz exponent Feleke Hailu and Teremage Woretaw, a traditional folk singer, an azmari and exponent of the one-stringed messenqo violin. If I had to pick only three tracks from the album they would have to be the manic intensity of the retro-feeling “Guragigna”, the spiritual cleansing quality of “Wey Fikir” and of course, the arresting Ethiopian Dub Reggae treatment of “Uptown Top Ranking”, a tune that for me - over decades - could never be bettered from the original. And then I heard the Dub Colossus version. Sublime. 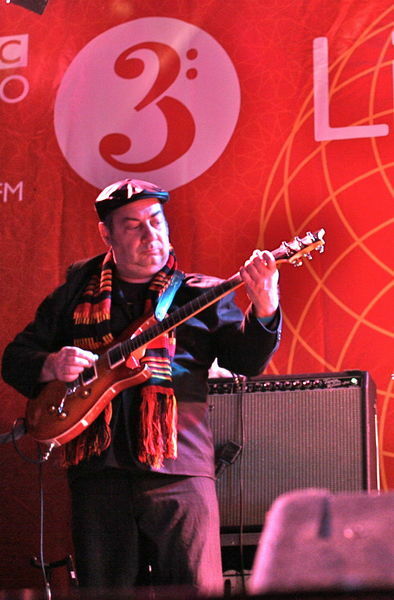 Nick Page and friends might have had problems pulling his Dub Colossus project together over the last few years, dealing with financing it, releasing their two albums and not least just trying to get the Ethiopians into the country past the insane bureaucratic nightmare that visiting foreign musicians are subjected to in the UK, but the quality of the vision is there to see. “Addis Through the Looking Glass”: buy it, take a deep breath and step into the mirror . 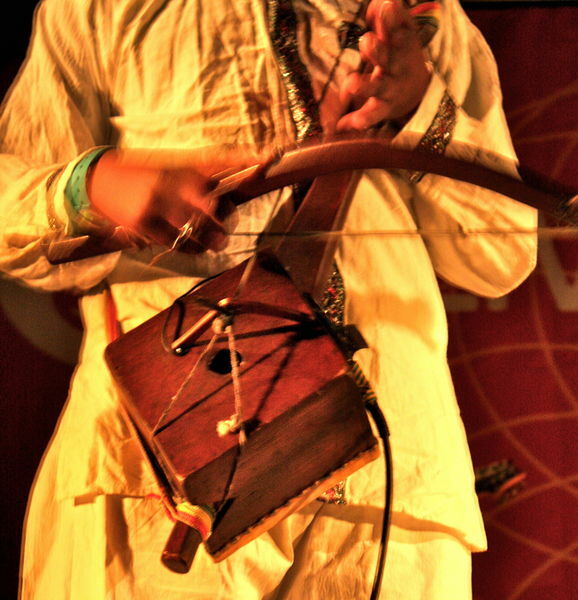 . . my World Music Album of the Year 2011." 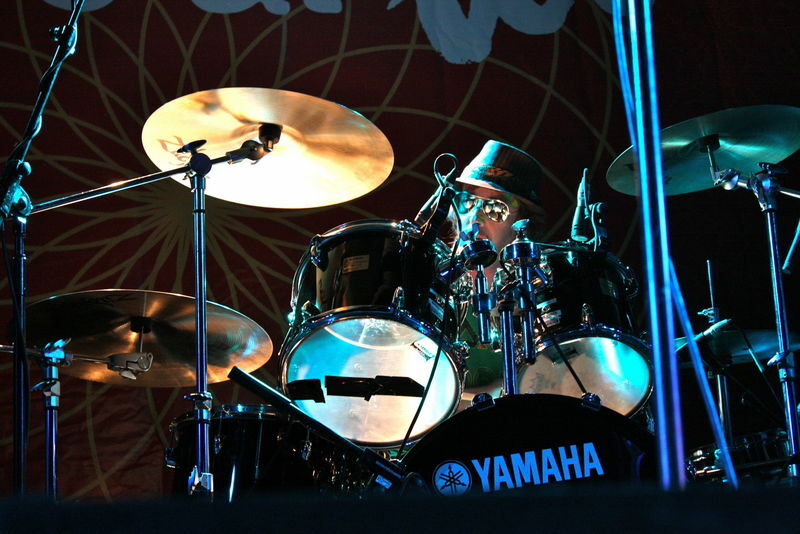 The album is a follow-up to their debut "A Town Like Addis".